Irene’s eye for detail ensures she gets the best out of her clients. The simplest movement can be deceptively challenging if done correctly. Getting the basics right allows you to perform the intermediate and advanced Pilates positions with confidence. 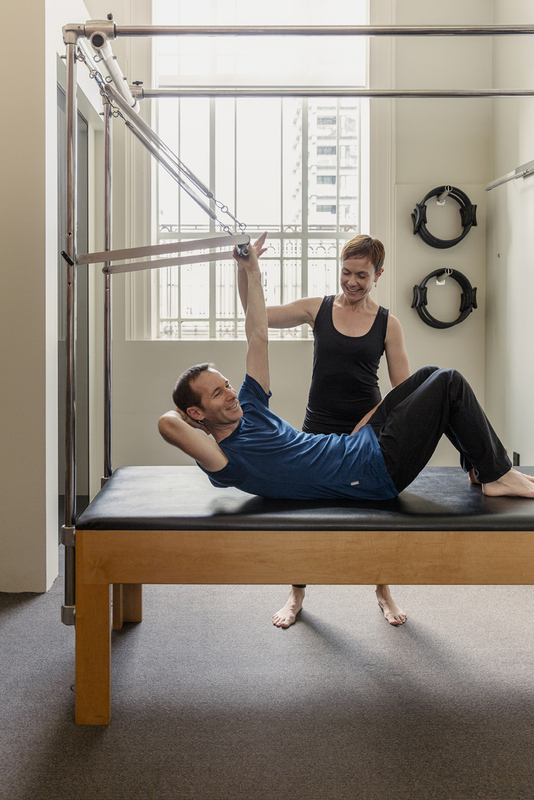 This is a hallmark of the Body Arts and Science Institute school of Pilates through which Irene studied. Irene achieved her first BASI Pilates qualification through the internationally renowned Theo Van Der Riet in 2009, and has been steadily adding qualifications to compliment her abilities as an instructor. She has completed courses which focus on stability and movement patterns and enhance her knowledge of rehabilitation and pathologies that she has integrated to help you in your pilates practise. The most rewarding part of her job is helping you regain strength and mobility safely. You will be surprised at how the simplest movement can re-boot your brain-body connection, giving you back confidence and speeding up your recovery. Irene is also very popular with athletes of all ages as her stretching techniques, attention to detail and fine tuning are very valuable for cross training. Clients from her early morning stretch reformer class love the improvement in their flexibility and subsequently their cycling, paddling and running! Irene is very enthusiastic about using Pilates as a recovery tool and for injury prevention; having used Pilates rehabilitation techniques to recover from sporting injuries, and a shoulder operation herself, Irene is a true ambassador for the power of Pilates in rehabilitation. Clients from all ranges of ability often leave Irene’s classes feeling stronger, clearer and more than a little challenged!